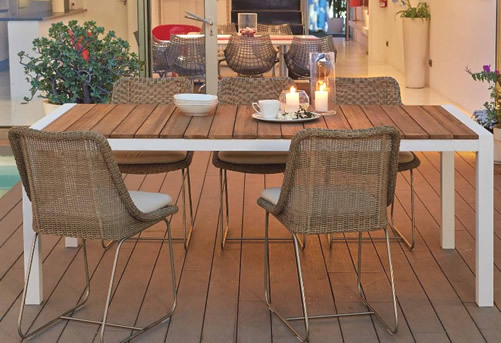 Garden Dining Sets - Rhino Hevea. 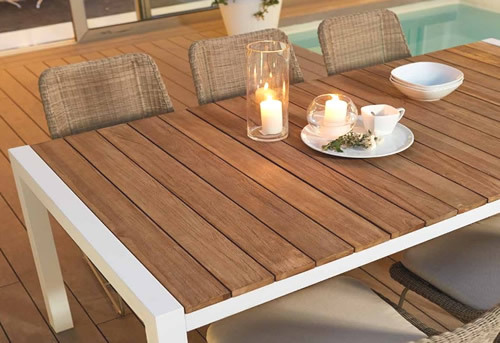 The Joenfa Rhino Garden furniture dining set is made of high quality teak wood. The table comes in two styles both offering a sturdy and attractive design. The Rhino cut option has a slated teak wood top with white aluminium frame and legs. 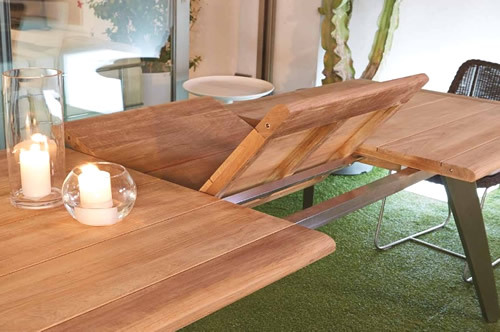 The Rhino Florence table has a solid teak top with Inox steel legs, this table is extendable from 200cm to 260cm. Dining armchairs come in two style weaves, namely Stone wash and Antique Java. 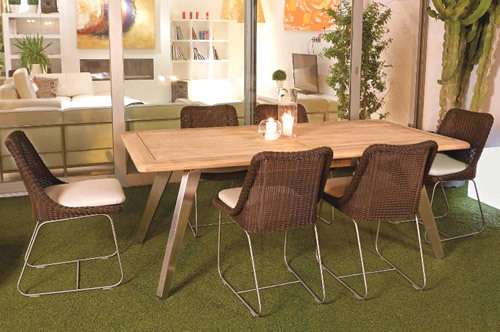 The Rhino Garden dining furniture range is weather resistant and has long lasting quality. Contact Us For Best Deals.